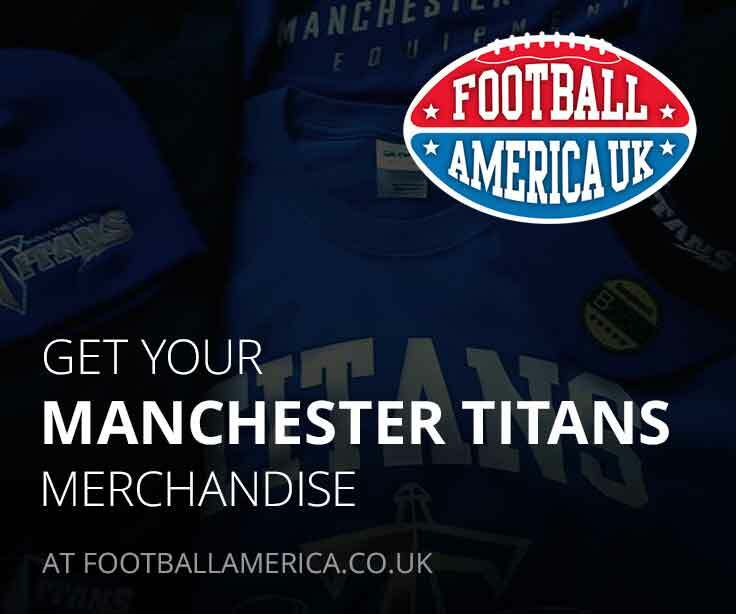 Manchester Under 17’s team was created in 2006 by Coach Alan Waldecker who were English Champions and 3rd place in UK in 2008 before he had to return to US. There are still Youth players involved in the club today, the current U19 Team Offensive Coordinator Tom Leonard was part of the 2008 team. 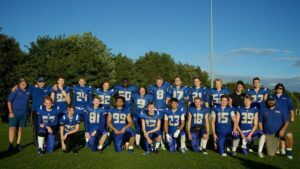 After a break, the Youth restarted in 2014 with new Head Coach/Offensive Coordinator Jonathan Homer, Peter Birds (now Adult Contact Head Coach) running the defence and a brand new squad of players and they competed in their first season, gaining valuable experience playing in several tournaments, finishing with a 3-9 record. 2015 saw the team grow, with all the players from the previous year returning and strong recruitment the squad grew and narrowly missed out on the play-offs with a 5-6-1 record. 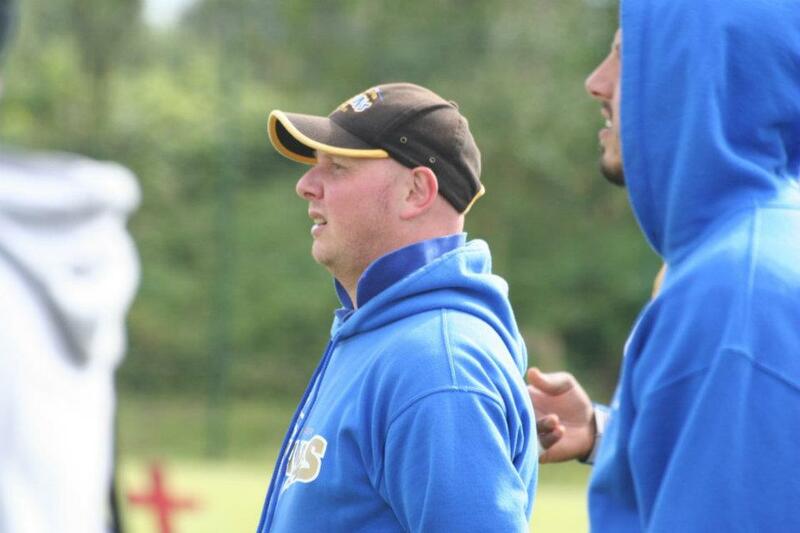 During the year Coach Ryan Farrell joined the staff as Offensive Coordinator allowing Head Coach Jonathan Homer to focus on the defence. 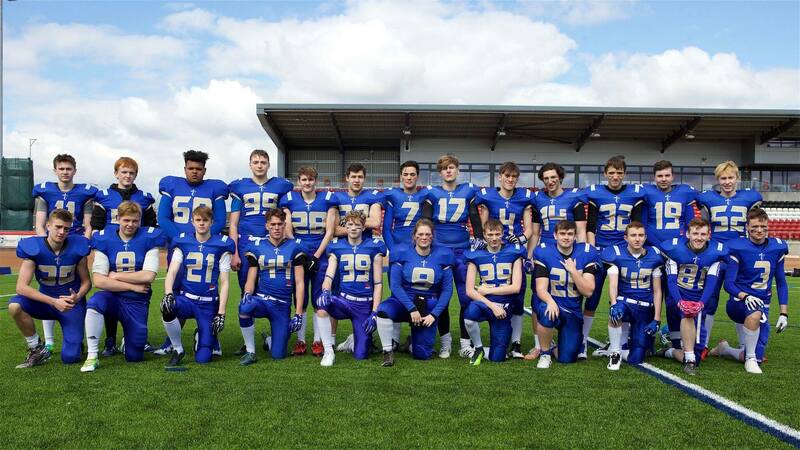 2016 and in their third season the U17 team saw success, finishing with a winning 8-4 record they came 2nd in the North West Division and qualified for the Britbowl Plate competition. 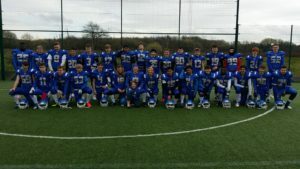 Despite defeat to Buckinghamshire, they bounced back with wins over the Cornish Sharks and London Warriors in the final game to rank 5th for the year. A huge achievement for the team that was just reward for the hard work put in by the players, coaches and staff. 2017 marks the first full cycle of players with all of the team from 2014 having now moved on to the U19 squad. First year players Josh Knott, Lewis Parker, Rebs Quinn, Charlie Gloves, Harrison Fleary, Jordan Howard, Phil Dee and Suli Sarwar have all now been with the Titans for 4 season having started with the U17 team in 2014, they represent the first of many groups of players who will pass upwards through the age groups within the club. Also from the U17 teams female players, Ellie Partington, Becky Bingle, Keely Edmonds and Nikita Walker have gone from playing mixed U17’s football to representing the Titans Women’s team in both the Opal (flag) and Sapphire (contact) national competitions. 2017 saw the Titans expand their U17 set-up to include two teams. Now split as Titans North and Titans South, there are two teams based across the City who feed players directly into our U19 programme. See the U17 North page for more information. 2017 was the Titans U17 South most successful season to date, in their 4th season they went undefeated during the regular season clinching the North West division crown with a 11-1 record. 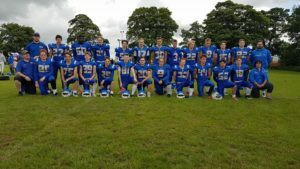 This earned the team a trip to the 8 team Britbowl National Finals tournament, containing the 8 divisional winners from around the country. 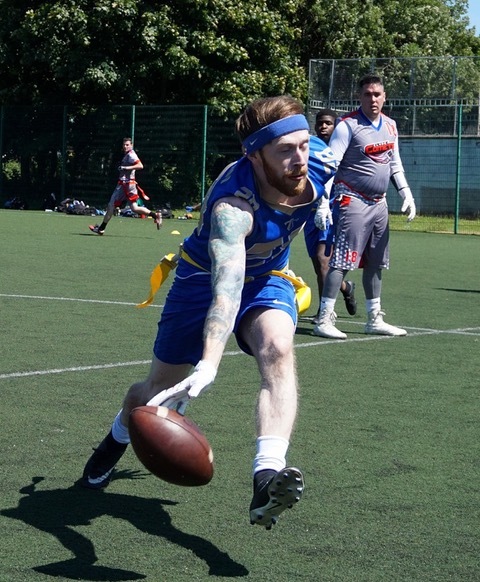 The quarter finals match-up the 6th seed Titans against the 3rd seed Buckinghamshire Wolves, a dominant performance saw the Titans win 18-2 and move onto the semi-finals. The 2nd seed and defending champions East Kilbride Pirates awaiting, EKP scored early but the Titans hit back with quick scores to lead 12-8. The pirates scored just before and after the half to lead 22-12 which it would finish despite a super-human effort from the Titans players. The 3rd place play-off was against the Kent Exiles and a tiring Titans side lost a shootout 37-34 to rank 4th in the country. 2018 saw a change in coaching staff with Coach Homer moving to be HC of the U19 team, Ryan Farrell stepped in as head coach. 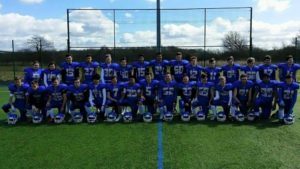 The team qualified for the Britbowl finals for the third straight year. 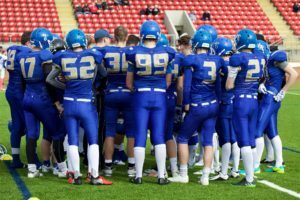 After much of the squad graduated to U19 following 2017, the young team finished with a 8-4-1 record and finished 5th at the Britbowl Plate finals. Heading into 2019, Coach Farrell stepped away after 4 season coaching with Andy Astridge taking over as head coach, Coach Astridge having coached with the U19, U17 and Women’s teams over 5 years with the Titans.